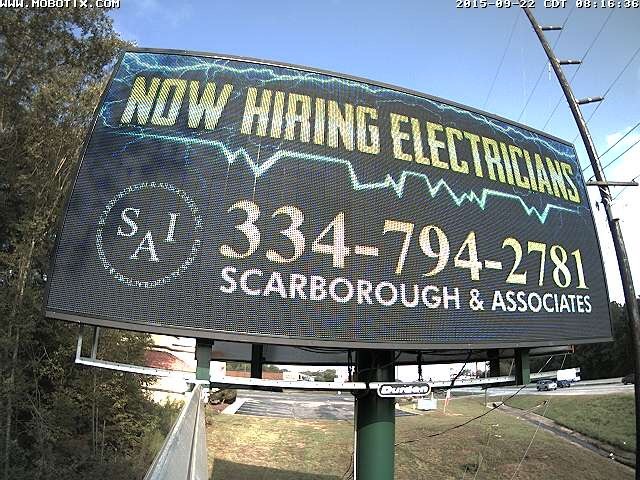 Durden Outdoor Displays, Inc. partnered with Scarborough & Associates to help them get the word out that they are now hiring electricians. By utilizing the Durden Digital Network, Scarborough & Associates was able to get their message up quickly. Do you know an electrician looking for a job or change of pace? Give Scarborough & Associates a call at 334-794-2781.